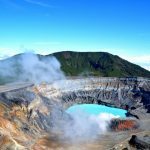 Hot Springs & Caribbean Islands: Enjoy this cross-country adventure as you experience some of the best natural highlights that Central America has to offer – volcanoes, hot springs, rainforest, wildlife and white sand Caribbean beaches. 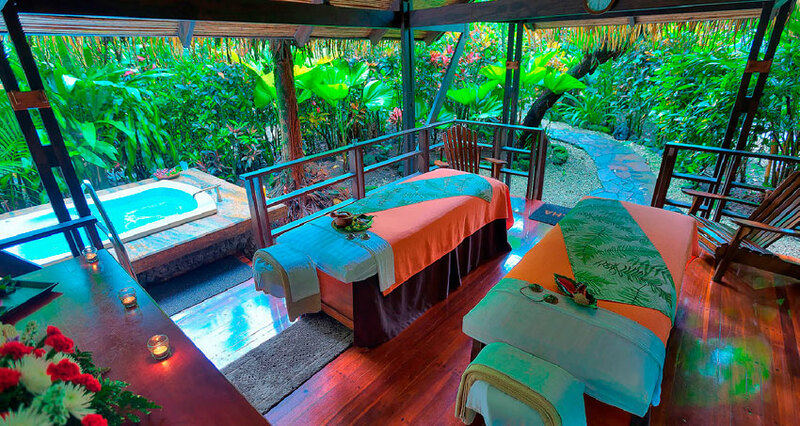 Begin your vacation with three nights at the plush Tabacon Hot Springs Resort & Spa where you’ll enjoy five star accommodations and free access to their world famous hot springs. 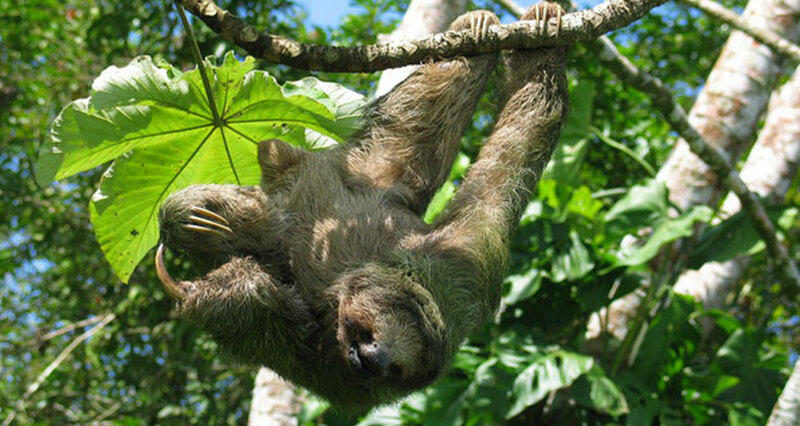 Take advantage of a long list of eco and adventure tours available to you in Arenal because you’ll end your vacation relaxing on a secluded island off the Caribbean Coast of Panama. 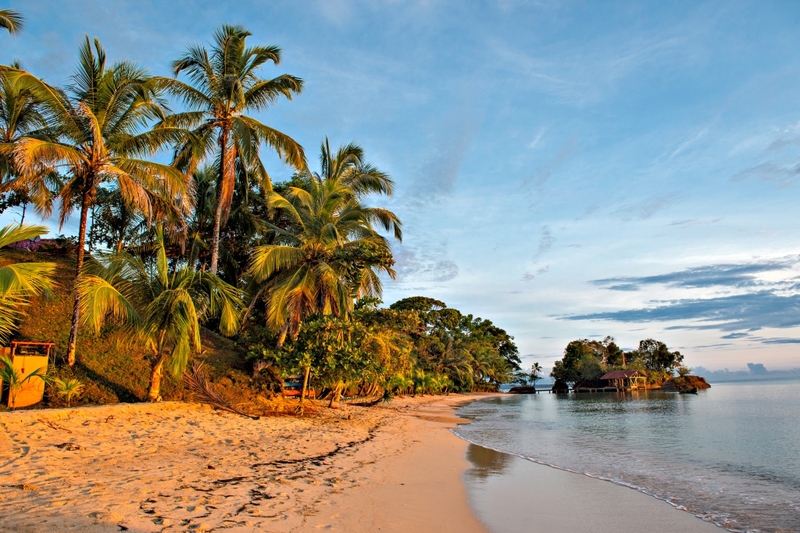 Snorkel, kayak, swim, and officially unplug in picturesque Bocas del Toro. Fly into Juan Santamaría International Airport (SJO) where one of our local airport representatives will meet you before immigration holding a sign with your name on it. They will guide you through an expedited immigration process and out to your waiting private driver. You’ll head into the mountains north of the capital as you make your way to the biggest and most popular volcano in Costa Rica, Arenal. After you check into your room and have something to eat we’ll be willing to bet you head straight for their famous natural hot springs. 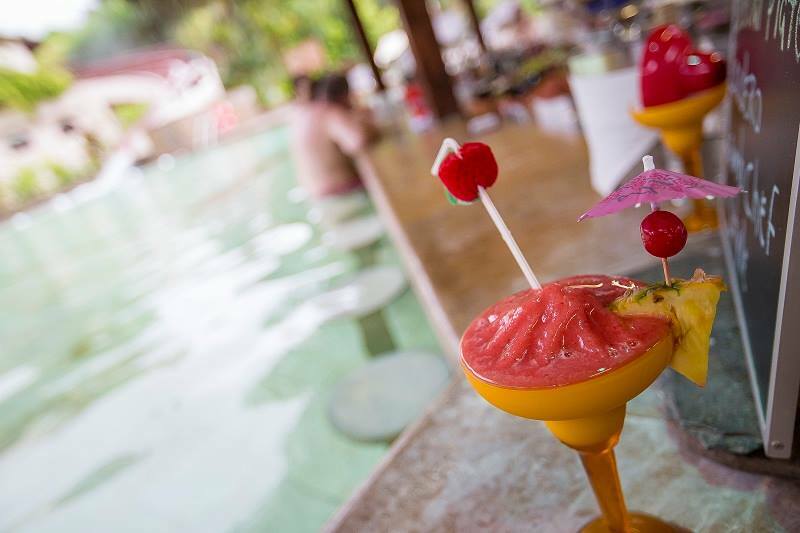 Enjoy a swim up bar, waterslide, waterfalls, flowing streams and secluded pools as a guest of the hotel. 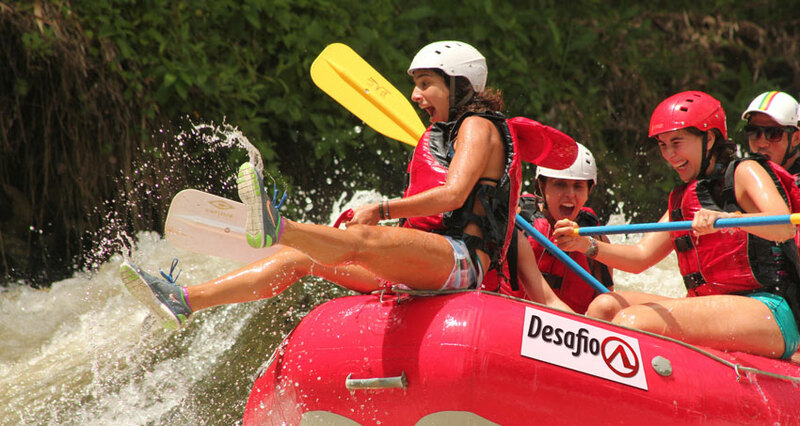 Start your day with Tabacon’s breakfast buffet before heading out on your first adventure – a combo tour of the hanging bridges and La Fortuna Waterfall. You’ll be picked up early in the morning at the hotel lobby and taken to the iconic suspension bridges that span the canopy of the forest. 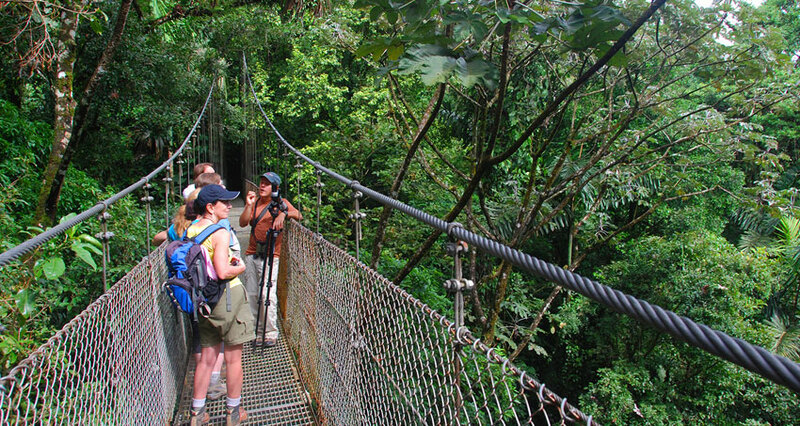 Your bilingual naturalist guide will point out birds, flora, and fauna as you get up close and personal with Costa Rica’s rainforest. Next you’ll head to the La Fortuna Waterfall, where after a short hike you’ll be rewarded with a picturesque image of the 200 ft waterfall. Take pictures, and if you are brave enough – take a swim in the cool refreshing waters of the pool below. Today it’s time to get your adrenaline pumping with an extreme combo tour! 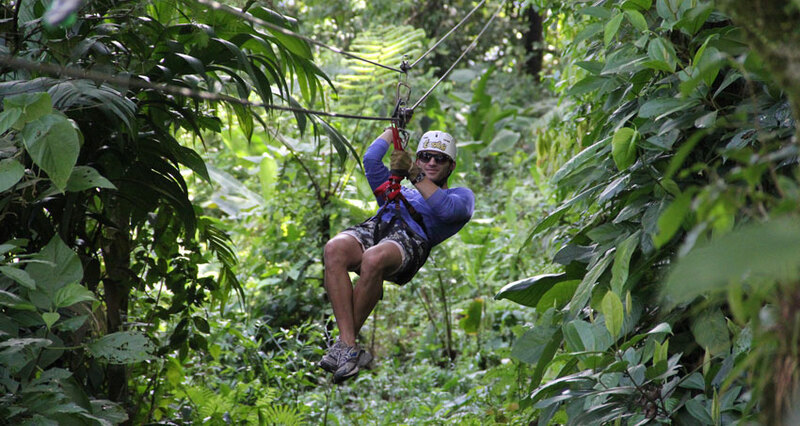 Today’s adventure combines two of the best tours in Arenal – waterfall rappelling and the canopy zip-line. Start the day rappelling down five waterfalls, the tallest 150 ft, before you end the day zip-lining through the canopy of the rainforest on 12 different cables. 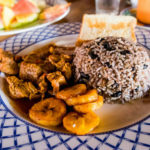 Today you can sleep in and enjoy another big breakfast before you depart Arenal and head to Panama. A quick 45-minute flight will have you back in San Jose where you will board another flight to take you directly to Bocas del Toro, Panama. This pristine Caribbean archipelago is home to white sand beaches, crystal clear water, and some of the best marine life in Panama. You’ll be met at the airport by your hotel, Popa Paradise, who will take you for a thirty minute boat ride to their island. 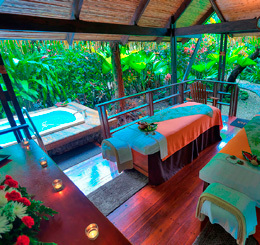 Their 25-acre retreat is covered in lush palm trees and white sand beaches making it a virtual paradise. Enjoy luxurious adults-only accommodations as your body slowly starts to adjust to Caribbean time. Relax, you’re on the beach! 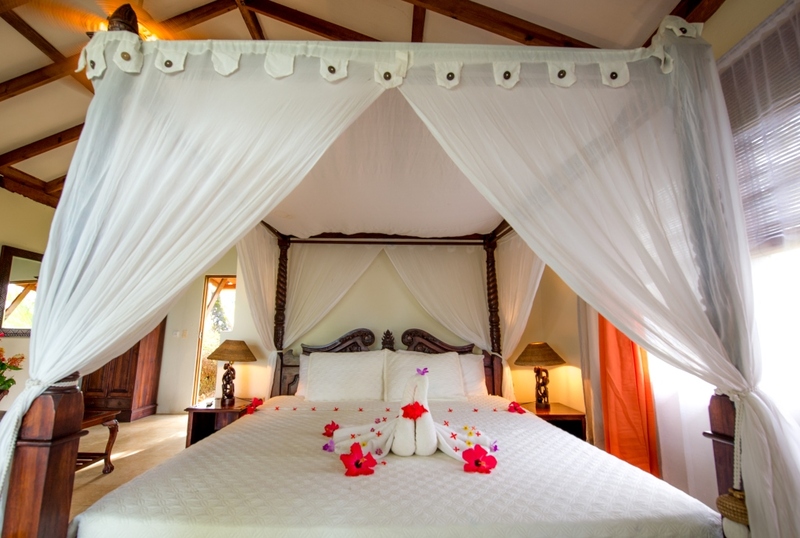 This day is yours to sleep in, enjoy a book and simply relax the way one should on a secluded Caribbean Island. 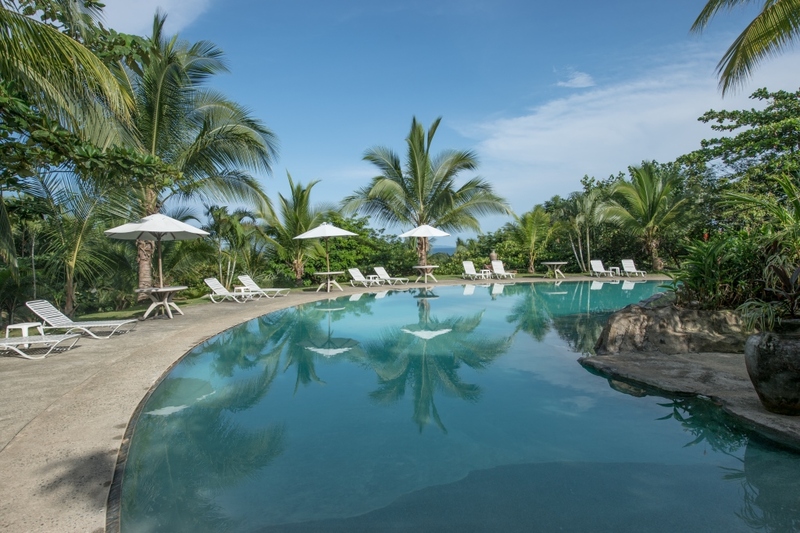 Popa Paradise offers its guests complimentary Wi-Fi, a pool table, ping pong, a DVD library, kayaks, and even fishing gear. Enjoy a drink at the thatch roof swim up bar as you cool off in the free form swimming pool. 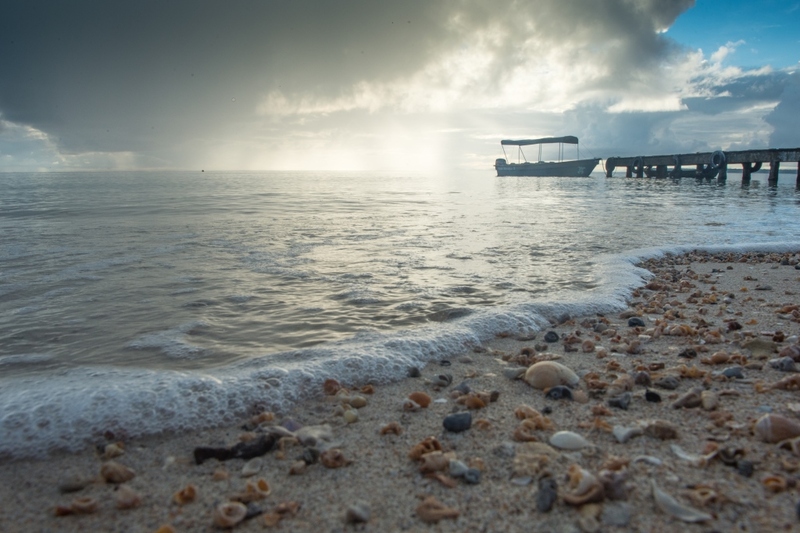 Today you’ll get off the island, but don’t worry – it won’t be anything too strenuous! Pick between a snorkeling tour, hiking & birding, or the popular chocolate tour to see what else this Caribbean paradise has to offer. 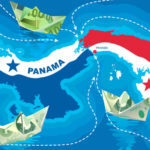 Enjoy your last full day in Panama! This day is yours to finish that book, catch the fish that got away, or simply relax in the warm waters off the beach or in the pool. From Bocas del Toro you’ll have the option to take a flight back to San Jose, Costa Rica or Panama City, Panama depending on where you book your international return flight from. You’ll transfer 35 minutes back to the mainland by boat and then have a one hour flight to one of the two Central American capitals for your international flight home.